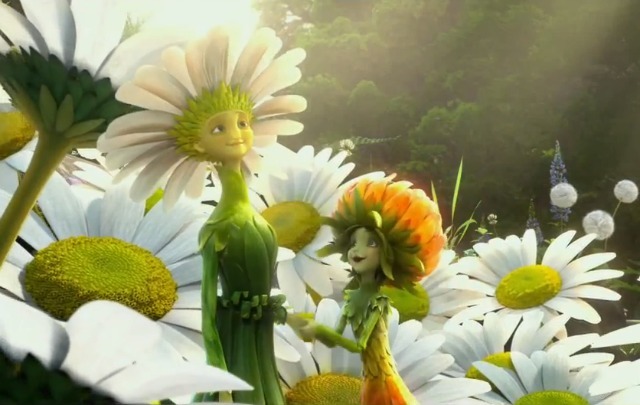 Epic might just be the most visually stunning animated movie I’ve ever seen and it’s given me inspiration for my youngest’s next birthday party (ok, with a little help from Tori Spelling, who celebrated her 5-year-old’s latest birthday “flower-power”style). Here are some of the ideas I have in mind to make her EPIC garden party come to life. 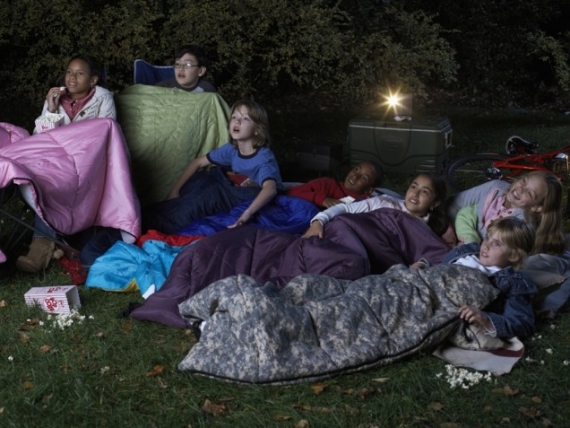 >> Create your own outdoor movie experience under the stars. Rent a projector and screen, top it off with gigantic buckets of popcorn and a tub of icy beverages. 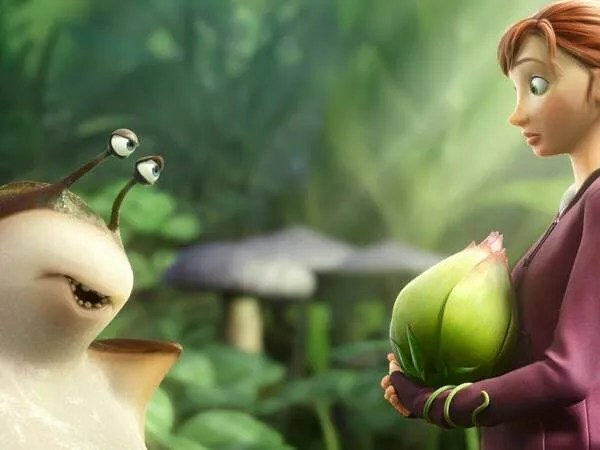 Then show a family friendly movie, such as Epic (of course!). 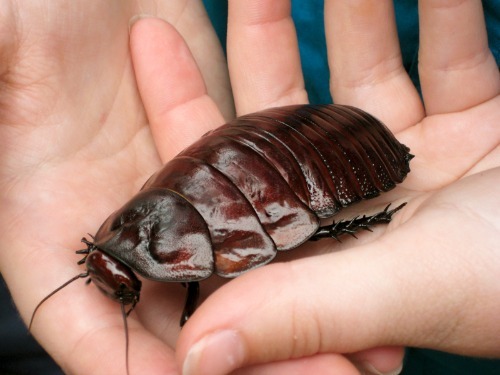 >> Hire someone to give an insect demonstration to the kids. In Sydney, for example, Butterfly Skye offers butterfly parties, where the children get to see each stage in the lifecycle of the butterfly; or parties featuring spiders, scorpions and other creepy crawlies. 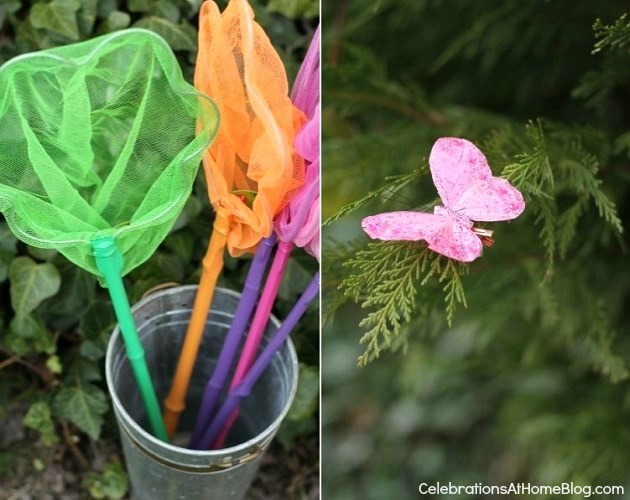 >> Or try a plastic bug scavenger hunt. Grab plastic bugs at the $2 store, scatter them around the yard and give each guest a card that reads eg: 1 green grasshopper (and show a pic of the grasshopper), 4 black spiders, 2 lady bugs, 3 worms, etc. Give them their own bug box to collect all their fake & real finds. 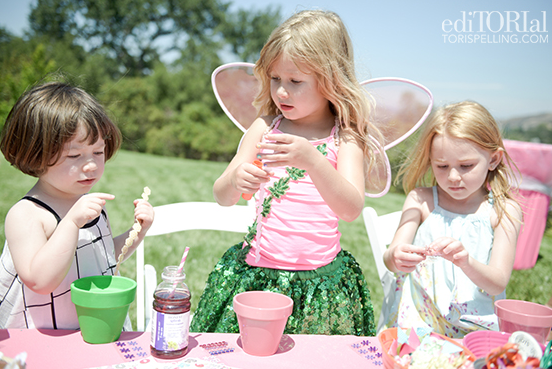 >> Tori Spelling organised for kids at Stella’s party to decorate their own pots, then plant edible gardens. 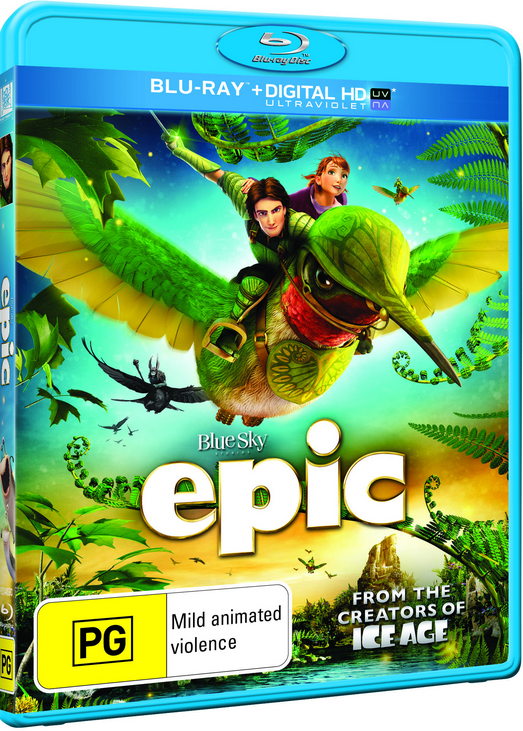 >> I was luckily enough to attend the DVD launch of EPIC at the Los Angeles County Arboretum & Botanic Garden. 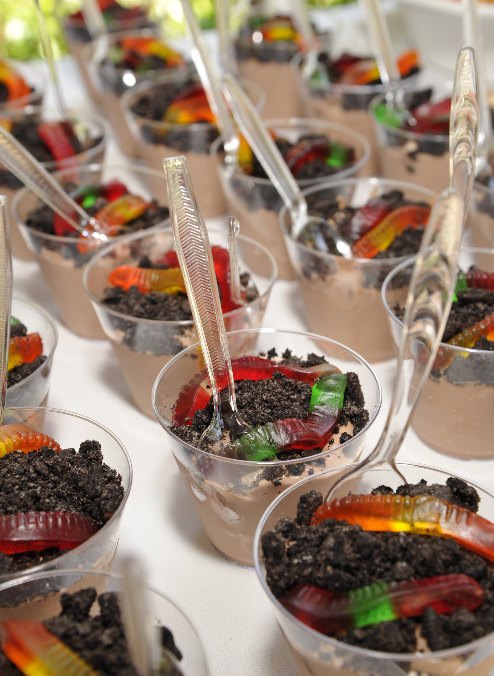 Aside from having the chance to tour the amazing gardens, I also got to sample these Epic-inspired gorgeous desserts – so simple too, just chocolate mousse, crumbled OREOs and lolly worms. 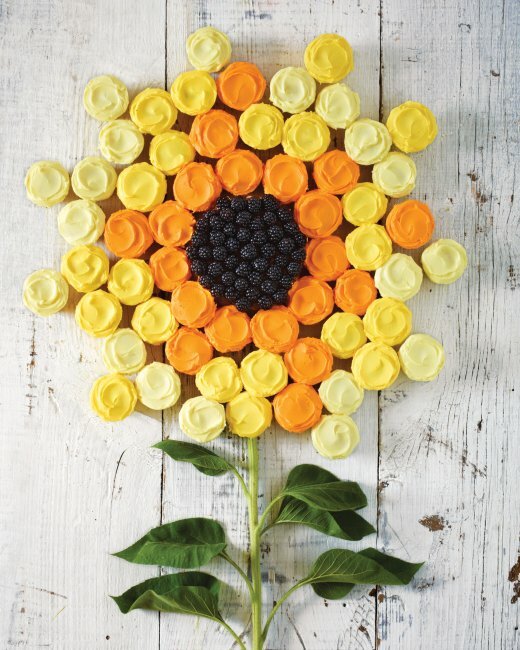 >> These lolly flower cupcakes I made for a school fundraiser were a big hit. And ultra-easy too – I dipped them in ready-made chocolate icing, then rolled them in Milo. 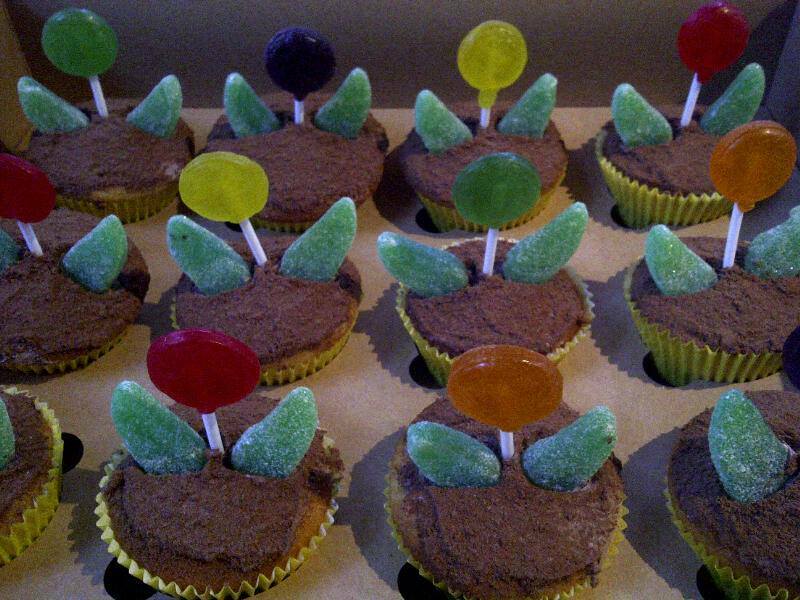 A lollypop stuck into each one with mint leaves and they were good to go! 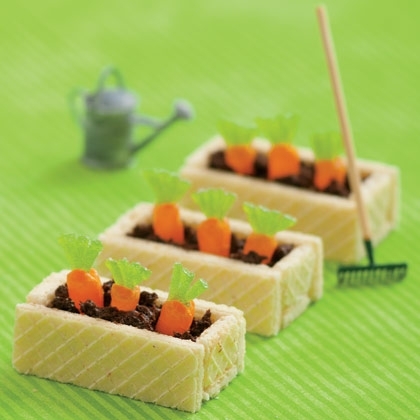 >> How cute are these carrot patch cookies from Spoonful? 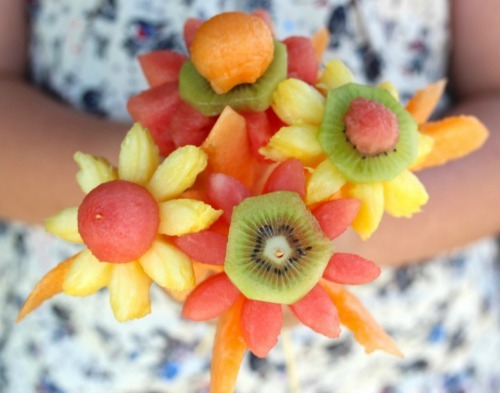 >> Learn how to make fruit flowers at Babble. >> How clever are these Baby Bell cheese beetles from Spaceships and Laser Beams? 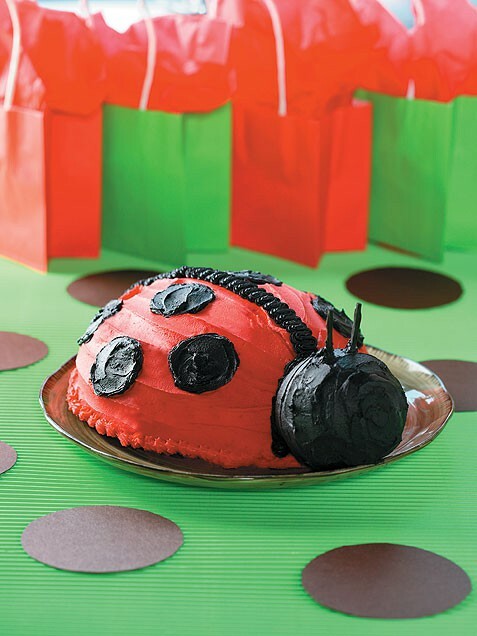 >> You’ll find the recipe for this lady bug birthday cake by clicking here. 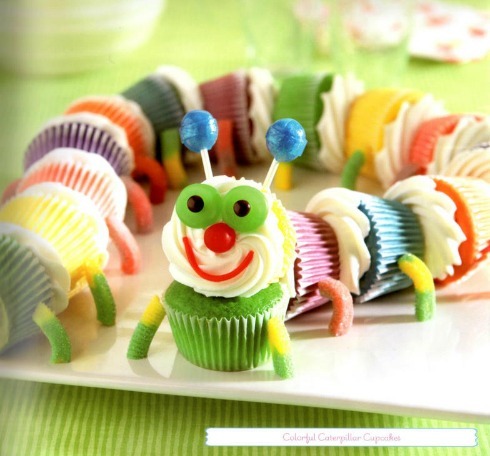 >> For my daughter’s fifth birthday, I used this Martha Stewart recipe as inspiration for the cake. It was so easy. >> Imagine this guy on top of a slab cake dusted with Milo … Get the instructions at Two Savvy Sisters. 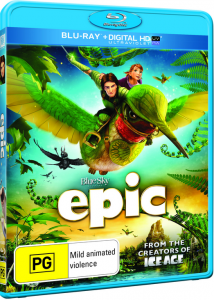 Epic is released on Blu-ray, DVD & Digital HD on Wednesday, October 23. Oh I am loving the idea of your own moonlight cinema, would never of thought of that. Although not so practical in Sweden, too cold in the winter and it never gets dark enough in the summer!